Samito Law, LLC represents plaintiffs and defendants in complex civil litigation matters and appeals. 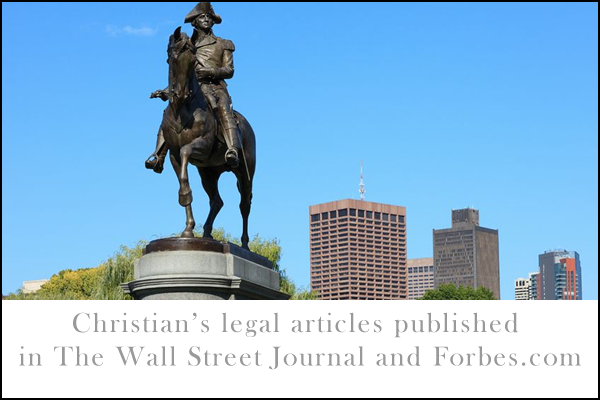 After graduating from Harvard Law School, Christian G. Samito gained extensive experience while practicing at preeminent Boston law firms. He then decided to have his own practice so that he could build closer relationships with his clients and offer them more direct contact. As a trial attorney, Christian handles actions from initial complaint to final judgment, including representing clients at mediations, arbitrations, and trials. Christian’s appellate practice in state and federal courts includes handling all stages of appeal, including motions, merits-stage briefs, and oral argument.